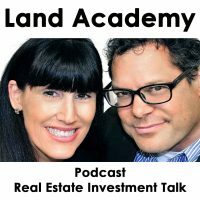 Steven Butala: Welcome to the Land Academy Show, entertaining land investment talk, we hope. I’m Steven Jack Butala. Jill DeWit: I love that, “We hope it’s entertaining.” And, I’m Jill DeWit broadcasting from sunny Southern California. Steven Butala: Today Jill and I talk about planning for the inevitable real estate recessions, plural. Jill DeWit: Like, how many are we planning for? Steven Butala: All of them. Steven Butala: This is some good stuff. Jill DeWit: Do you mean because of different areas? You mean different decades? Steven Butala: Different decades, so it happens between every 12 and 15 years, really tied to investment … availability of capital, more than anything, and predatory lending. Steven Butala: There’s all kinds of ways that you can see into the crystal ball, and a lot of them have to do with tracking really large home builders. It’s really simple stuff, if you just put it in your calendar to look at it every week, spend five minutes, you can see the downturn coming. Jill DeWit: Such an interesting time right now, because the unemployment rate is so low, so people obviously have money, they have jobs, so that’s why the interest rates just went up. Is this trigger A of 10, trigger one of 10? Jill DeWit: Yeah, there are more available jobs than there are unemployed people. Steven Butala: Right, that’s the first time that’s happened in our lifetime … in my lifetime. Jill DeWit: Exactly, so it’s harder to hire. Jill DeWit: The people that don’t have jobs, there’s a reason why they don’t have a job. Steven Butala: Right, but we actually have to do a show here. Steven Butala: Before we actually get into it let’s take a question posted by one of our members on the landacademy.com online community, it’s free. 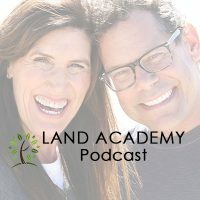 Steven Butala: Yeah, so I covered this in the first Land Academy education program, and we, also, … Jill and I have live events, which we don’t probably talk about enough. Jill DeWit: We do this year now. Jill DeWit: Since the ’90s. Steven Butala: Since, the early 2000s … Man, we still get some of those signed letters back from like 2004, literally. Steven Butala: If we changed our address, our physical address, and then mailed it back, then it gets return to sender, and the whole thing. Same thing with your phone number, we have the same phone numbers from back then. Steven Butala: Jill and I have moved probably five times since … maybe more if you actually combine it, I think we’ve moved more times, so you don’t want to … You have to set-up, this is not an option. You have to set-up what you think is going to be a permanent virtual mailbox, and I’m telling you, these places go out of business, so you got to be careful. Jill DeWit: Sends it to us once a week. Steven Butala: Every week, I think. Steven Butala: And sends it to where we are. Sometimes we’re on vacation, he sends it. Steven Butala: They’re gonna get way more than a little. Jill DeWit: Even if you’re driving … Even if … I’m not sure where in Canada you are, but, say you’re in Vancouver, so go ahead and get a Seattle one, or just something just over the border in Washington, or something. Steven Butala: You’ll never go there physically, and they all have services where they just mail out the stuff to you every week. Steven Butala: There’s no option here. Steven Butala: It’s gonna dramatically affect your response rate. Steven Butala: They hang up. Jill DeWit: They’re a little tripped up by it, kind of thing. Steven Butala: Hey, since you brought that up. Tell them how you handle that. Tell the listeners how you handle a hangup on a mailer. Jill DeWit: Call them back. Steven Butala: You got their number, right? Steven Butala: You got to call them back. Steven Butala: I know you do. Steven Butala: I used to not do that. Steven Butala: You’re missing a great, great acquisition. Jill DeWit: Sure, and it’s easy … you know why they’re calling, we all know that, because if you’ve set up a dedicated number and it’s preferably not your personal cell number, you can make it a business number that you’ll have forever. You have their number, you call them back, and it’s easy … They don’t even know why you’re calling, they forgot, because it was yesterday. Jill DeWit: It’s so funny. I will call them and say, “Hey,” … I tried to make them think that they’re one of 10 people that I sent offers to, so, “I sent out a few offers of my property in your area, so is that why you’re calling me? Did you get a letter?” “Oh, yeah, yeah, yeah,” and then you start the conversation. Steven Butala: It’s imperative that the mailer that you send out, they believe that they’re the only ones. Jill DeWit: They want to be special. Jill DeWit: Yeah. Not that I … “You’re one of 4,000.” They don’t want to hear that. Steven Butala: No, and the way we do it with the mail [inaudible 00:06:11], and the way we teach it, is that it looks like you want to buy their house, because you chose them out of everyone. Steven Butala: Because their house is awesome. Steven Butala: Or, land, too. Jill DeWit: Right. The specific offer, it sings to them. Steven Butala: Right. Today’s topic: planning for the inevitable real estate recessions. This is the meat of the show. Steve, could you pick any more depressing topic for a Friday? Maybe not. I personally don’t think it’s depressing, I think the more control you have over your life the better. What do you mean, “Can you really look into the future and see what’s gonna happen and make decisions?” Yeah! We’re in the real estate business, we’re not in the stock market. The stock market, if you have inside information about what’s gonna happen in the future you go to prison. In real estate you high five yourself. Steven Butala: The first people that are affected by a real estate recession are new home builders, and new home builders have to file for entitlements to develop new subdivisions, and so what I do every week is I look at … A lot of places it’s public information. I look at new home entitlement filings with the county where they are. It’s public information. Once you see that start to dip then you’ve got about six months before some serious stuff hits the market. By the way, this last downturn we had called “the great recession,” which was 2007 to ’12-ish. Steven Butala: Maybe more like ’06 to ’11, but it doesn’t matter, that won’t happen again in our lifetime. That was tied into a lot of different stuff that had to do with a lot of huge up … high-level … like, Wall Street Bank failing and stuff, it was all tied in. There’s regulations and things like that and place. Remember … well, not remember, but the stock market crashed in 1929 because there were no stop-gaps, and a lot of regulations happened since then, and has not really crashed like that since then. Jill DeWit: Correct. Now they shut it down. Jill DeWit: Limit up, limit down. Steven Butala: Right, right, so, fortunately, in our lifetime we won’t see that again. We will see some pretty heavy recessions, and one of them is gonna happen here in 24 months, I’m telling ya. What you don’t want to be in a position where you got a ton of real estate … I know this because this happened to me … Tons and tons of real estate and very little cash. Steven Butala: You want to keep a very health balance, even if you have to sell. If you’re into larger properties, sell them for a loss. You don’t want to be sitting there in the middle of a recession and you can’t sell anything. Steven Butala: Here’s the good news. Plan for it. There’s just no better time to buy property than in a recession. We were buying houses in Phoenix for $25,000 during the last recession. Steven Butala: I have a buddy who bought 150 houses during that time, all rentals, they’re all rented, and he’s done. Steven Butala: He doesn’t even have an office. He just makes sure they rent it. Steven Butala: Plan for that. Land is … You can buy land for $100 when this happens. We were doing that back then, too. Steven Butala: Watch entitlements, and watch lending. This is all, in my opinion, last time it was all because the access of capital dried up. Right now they’re throwing money at you. Probably get 500 emails a day for mortgages, and no money down, and the whole thing. Steven Butala: A lot of that stopped, fortunately, that was the problem last time. Steven Butala: Just drop it on your calendar, that’s what I do. Look at the entitlements for last month. Hopefully like two or three parts of the country, it’s just as easy as looking up on a county website, and you’ll be fine. Jill DeWit: Exactly. Is there any other triggers for people that aren’t that … Isn’t it … We talked about this first, about how it trickles down from … The land will come after houses, and then … Just kind of some general things to keep an eye out for. Jill DeWit: And, how much time? Six months later? A year later? Steven Butala: Yeah, oh, good. Jill DeWit: What’s the general? Will you explain on that, please? Steven Butala: The other thing you can watch that’s harder to track, I do it because I know people who work in these large commercial real estate construction companies and development companies, they get hit first. If they’re complaining and saying, “Oh my gosh, it’s really slowing down,” and the houses are still booming, you know it’s coming. Jill DeWit: Right. It’s true, because, usually, you build … an intel, whatever, and then the houses, you need the houses for the workers there, so if intel is not building … I’m just using intel, maybe it’s Amazon in Seattle, ha, that’s going on right now. Maybe … that’s making a mess, but maybe it’s Amazon, right? Jill DeWit: [inaudible 00:11:15] a new thing, and then next come all the housing, we need the housing to beef it up, so if there’s not gonna be a new Amazon there we’re not gonna need all those houses. Jill DeWit: That’s what we’re saying. Steven Butala: Commercial real estate’s a real good indicator. You have about 12 months after commercial starts to slow down … commercial construction, I mean. Steven Butala: Starts to slow down. In that 12-month period house entitlements, primary residents’ entitlements, development entitlements will … you’ll start to see that go down, and then it will dramatically … it will stop. People that are in commercial development and new home builders, those guys are not stupid, and they really … most of them, anyway, they really don’t want to be caught in a situation that I just described, where they have tons of property under construction and no cash. Steven Butala: And no options. If you watch those two things you have a good 12 months-ish. Jill DeWit: Before it affects land? Steven Butala: Before it affects land. Steven Butala: Then, find yourself a good financial partner, and buy the heck out of real estate everywhere. Steven Butala: I mean, buy, buy, buy, and explain to their partner that you’re not gonna see a return. These recessions usually last … the last one was really long, they usually last three years. Don’t watch unemployment, I mean, we just talked about employment stuff. All those indicators … Here’s the problem with the news, it’s designed for the regular guy who takes the bus to work every day. Jill DeWit: That kind of thing, I read all that stuff. Steven Butala: I don’t care about any of this stuff. Jill DeWit: I don’t care. Steven Butala: It’s just … what the heck? Steven Butala: I just had to rant there for a minute. Jill DeWit: Yeah, it’s okay. Steven Butala: It’s so silly. If you’re listening to the show you’re not a regular shmo, none of this stuff applies to you. Steven Butala: We got some real actually newsworthy information to help you in your business in your life. Steven Butala: Like, the weather on the ocean, that’s very useful to me. Jill DeWit: It is. This whole planning and this whole discussion to me, it just makes me sleep well. That’s the whole goal here. Be ready, plan for it, you got some triggers to watch for, you know what to do, have the cash, be ready to … and have some cash set aside to live off on, have some cash set aside to buy some stuff, too. That’s gonna be the best, best thing, and then you will sleep very well. Steven Butala: The good news is that when this stuff happens there are people that … very, very bright people, who are loaded, financially, and they love to buy real estate from you. Steven Butala: Your job, just like your job during good times, is to buy cheap real estate, and sell it to the people who have money for a little bit more. Jill DeWit: Yeah, you could still be running your business just fine, and you should be, like you’re saying, but with all those other things in place. Steven Butala: This next time … this next recession will be my fourth. The first one was started … RTC, Resolution Trust Corporation, which was all based on lending, Ronald Reagan eras, and there was the dot com burst, and then this last recession. This next one I think is gonna be a blip. I don’t think it’s gonna be, “The sky is falling,” like last time. That’s the good news. Steven Butala: Well, you’ve done it again. 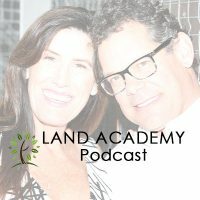 You’ve spent another 15 or so minutes with us listening to the Land Academy Show. 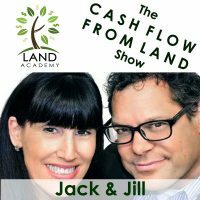 Join us tomorrow for another interesting episode where we discuss accumulating equity in real estate wholesaling. We start a new week and a new theme. Jill DeWit: And we answer your questions posted on our free online community. You can find it off of landacademy.com. Jill DeWit: That was show 750. Steven Butala: Oh my gosh, Jill! God, you’d think we had something better to do. Steven Butala: What are we thinking? Jill DeWit: Are friends are like, “What do you guys have to talk about every day?” Apparently we have 750 things, and more, to talk about. Steven Butala: Not even Cheers lasted this long. Steven Butala: The TV show. Jill DeWit: Isn’t that crazy? Steven Butala: People still listen to the show. Steven Butala: More and more all the time, actually. Jill DeWit: I know. Exactly. This is just insane. Who knew? Jill DeWit: Who knew. Share the fun by subscribing on iTunes or wherever you’re listening, and while you’re at it, please rate us there. We are Steve and Jill.